Please Note: This article series about Alexa™ blind control assumes you have already set up your BroadLink hub with the phone app (see home theater phone app article series). You will also need to understand how to identify the IP address of devices on your local WiFi router, and how to send files from your phone to a computer. Blind automation with Google Assistant™ will be covered in a separate article series. 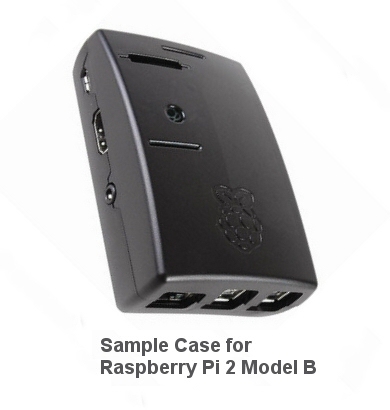 The Raspberry Pi® is a credit-card sized low cost computer that has outputs for HDMI or TV, and a standard keyboard and mouse. It is a very capable SBC (Single Board Computer) that enables people of all ages to explore computer programming. The very powerful Node-RED visual design system for IoT and home automation comes pre-installed with the default Raspbian operating system. You can quickly turn the Pi into a very effective, low cost home automation system, with our BroadLink® radio/infrared hub, providing direct control of our roller shade motors, window openers, and many other devices. Voice control with Alexa™ can be easily added. The Raspberry Pi was designed as an educational tool for computer programming by the Raspberry Pi Foundation in the UK circa 2008. It took the computing world by storm, selling over 2 million units in the first 2 years (they were expecting sales of maybe 10,000 units). It has now evolved into the RPi 3 Model B, with built-in Wifi, Bluetooth 4 Low Energy (BLE), HDMI output, and a host of other features. As a home automation hub, using the Node-RED program, it does not depend on the cloud for operation, something we feel is a very important consideration for security and reliability. A few years ago we were stunned and amazed when we first loaded the Noobs operating system installer onto the micro SD card, plugged in our HDMI 12 ft projector screen, and booted up the Pi for a first look. We selected the Raspbian Operating System, and after installing this automatically, it booted straight into a GUI (Graphical User Interface) at a superb resolution of 1080P, complete with email program, browser, office suite, programming tools, text editor and a whole host of other features and programs. If you are a casual user of a laptop or desktop machine, the Pi is a very suitable replacement, just as a general purpose computer. If you don't own a computer, the Pi would work just fine as your entry point into the world of computing. We also noticed the presence of the Node-RED system on the 'Programming' menu and decided to take a look at what it was used for. Little did we know at the time that we had just discovered an awesome visual design toolkit for configuring a home automation system! TIP: The Pi also comes with VNC installed with the Raspbian operating system. This means you can control it from your laptop or other machine in 'headless' mode, without a mouse or keyboard plugged into the Pi, except for the initial setup. 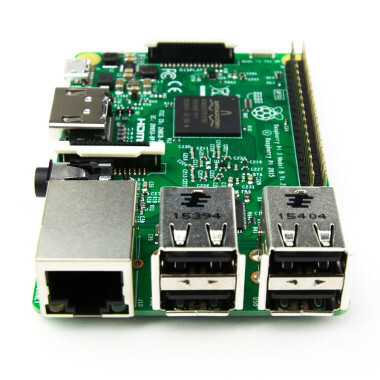 Our main interest was in applying the Pi as a home automation controller, and we were pumped to realize the default Raspbian operating system includes the excellent Node-RED visual design system for IoT, with BroadLink, Amazon Alexa™ and Google Assistant™ component support. In other words, everything we needed at an unbeatable price point! The Node-RED software application sets up the Pi as a web server on your local network, and you can access it with any browser on any device in your home, or from anywhere on the Internet (if you decide you want remote capability). The drag and drop Node-RED interface has to be the fastest way we have ever seen to get control over our blinds, window openers, lighting and other devices. When using Node-RED as home automation software, it runs in the background and you can still use the Pi as a functional desktop for browsing, email, etc. while the automation system is running. Soon you will see how you can integrate our BroadLink products with the Node-RED system on the Raspberry Pi in this article series. It is also a relatively easy matter to add voice control with Amazon Alexa™ and Google Assistant™. Node-RED supports many devices, and new ones are constantly being added. It has a very large developer community, plenty of documentation on the website, and help from various discussion groups.